↑ Chinese Expeditionary Force in Burma. ↑ They were drawn primarily from British India. Most of them stayed and defended in India, and did not participate in the counter-offensives in Burma. ↑ 3,000 were frontline combat troops (Merrill's Marauders); the rest were engineering and air force personnel. ↑ Merrill's Marauders losses accounted for 2,394 of this figure, including 424 combat casualties and 1,970 deaths or evacuations due to disease. ↑ Total excludes the approximately 3 million civilians who died in the Bengal famine, partly as a result of the Japanese occupation of Burma and British policies and negligence. The Burma Campaign was a series of battles fought in the British colony of Burma, South-East Asian theatre of World War II, primarily between the forces of the British Empire and China, with support from the United States, against the invading forces of Imperial Japan, Thailand, and the Indian National Army. British Empire forces peaked at around 1,000,000 land and air forces, and were drawn primarily from British India, with British Army forces (equivalent to 8 regular infantry divisions and 6 tank regiments), 100,000 East and West African colonial troops, and smaller numbers of land and air forces from several other Dominions and Colonies. The Burmese Independence Army (known to the legitimate Burmese government and the Allies as the "Burmese Traitor Army" – BTA) was trained by the Japanese and spearheaded the initial attacks against British Empire forces. In accordance with the Thai military alliance with Japan that was signed on 21 December 1941, on 21 March, the Thais and Japanese also agreed that Kayah State and Shan State were to be under Thai control. The rest of Burma was to be under Japanese control. The leading elements of the Thai Phayap Army under General J.R. Seriroengrit crossed the border into the Shan States on 10 May 1942. Three Thai infantry division and one cavalry division, spearheaded by armoured reconnaissance groups and supported by the Royal Thai Air Force, engaged the retreating Chinese 93rd Division. Kengtung, the main objective, was captured on 27 May. On 12 July, General Phin Choonhavan, who would become the Thai military governor of the occupied Shan State later in the war, ordered the 3rd Division of the Phayap Army from the southern part of the Shan State to occupy Kayah State and expel the Chinese 55th Division from Loikaw. The Chinese troops could not retreat because the routes to Yunnan were controlled by the Thais and Japanese and many Chinese soldiers were captured. Panglong, a Chinese Muslim town in British Burma, was entirely destroyed by the Japanese invaders in the Japanese invasion of Burma. The Hui Muslim Ma Guanggui became the leader of the Hui Panglong self defense guard created by Su who was sent by the Kuomintang government of the Republic of China to fight against the Japanese invasion of Panglong in 1942. The Japanese destroyed Panglong, burning it and driving out the over 200 Hui households out as refugees. Yunnan and Kokang received Hui refugees from Panglong driven out by the Japanese. One of Ma Guanggui's nephews was Ma Yeye, a son of Ma Guanghua and he narrated the history of Panglang including the Japanese attack. 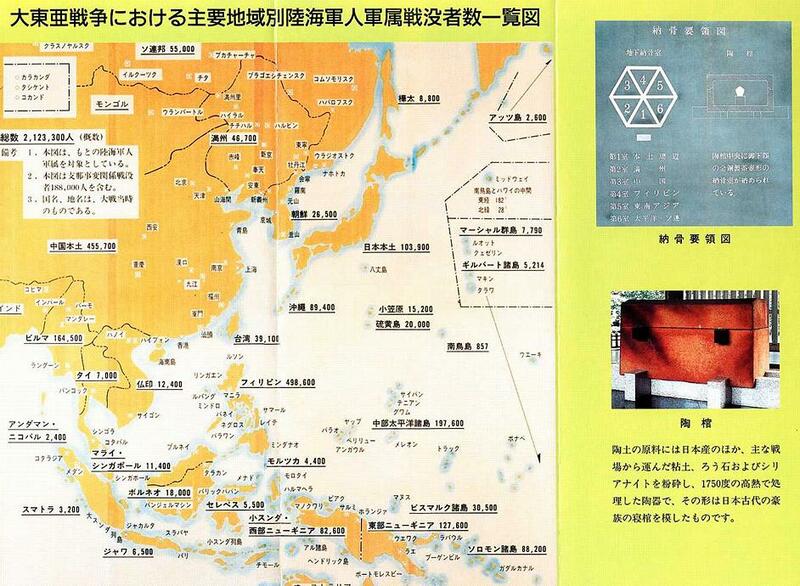 An account of the Japanese attack on the Hui in Panglong was written and published in 1998 by a Hui from Panglong called "Panglong Booklet". The Japanese attack in Burma caused the Hui Mu family to seek refuge in Panglong but they were driven out again to Yunnan from Panglong when the Japanese attacked Panglong. The military and political results of the Burma campaign have been contentious on the Allied side. In military terms, the Japanese retained control of Burma until the result of the campaign was irrelevant to the fate of Japan. It was recognised by many contemporary US authorities and later American historians that the campaign was a "sideshow" and (apart from distracting some Japanese land forces from China or the Pacific) did not contribute to the defeat of Japan, although the recovery of Burma was reckoned a triumph for the British Indian Army. After the war ended, a combination of the pre-war agitation among the Bamar population for independence and the economic ruin of Burma during the four years' campaign made it impossible for the former regime to be resumed. Within three years, both Burma and India were independent. Against these criticisms, the attempted Japanese invasion of India in 1944 was launched on unrealistic premises and resulted in the greatest defeat the Japanese armies had suffered to that date. After the Singapore debacle and the loss of Burma in 1942, the British were bound to defend India at all costs, as a successful invasion by Japanese Imperial forces would have been disastrous. The defence operations at Kohima and Imphal in 1944 have since taken on huge symbolic value as the turning of the tide in British fortunes in the war in the East. ↑ Whelpton, John (2005). A History of Nepal (4th ed.). Cambridge: Cambridge University Press. p. 67. ISBN 0-52180026-9. ↑ Killingray, David (2012). Fighting for Britain: African Soldiers in the Second World War. London: James Currey Ltd. p. 7. ISBN 1847010474. 1 2 中国抗日战争正面战场作战记 (in Chinese). pp. 460–461. Retrieved 28 December 2015. ↑ Bradford, James (19 September 2006). International Encyclopedia of Military History. Routledge. p. 221. ↑ 中国抗日战争正面战场作战记 (in Chinese). p. 476. Retrieved 4 May 2016. 1 2 McLynn, The Burma Campaign: Disaster into Triumph, 1942–1945, pg. 1. ↑ US ARMY BATTLE CASUALTIES AND NON-BATTLE DEATHS IN WORLD WAR 2: Final Report. Combined Arms Research Library, Department of the Army. 25 June 1953. Page 76. Includes 1,466 "battle deaths" (1,121 killed in action) and 123 who died of wounds, for a total of 1,589 killed. ↑ Marauder.org: casualties. Retrieved 22 July 2015. ↑ McLynn, The Burma Campaign: Disaster into Triumph, 1942–1945, pg. 1. Includes 144,000 dead and 56,000 wounded. ↑ Martin Brayley, Mike Chappell. "The British Army 1939-45 (3): The Far East". Osprey Publishing. Page 6. ↑ Forbes, Andrew; Henley, David (December 2015). "'Saharat Tai Doem' Thailand in Shan State, 1941–45". CPA Media. ↑ Forbes, Andrew (2002). "A Forgotten Invasion: Thailand in Shan State, 1941-45". This article was originally published in the Bangkok Post. ↑ Wen-Chin Chang (16 January 2015). Beyond Borders: Stories of Yunnanese Chinese Migrants of Burma. Cornell University Press. pp. 122–. ISBN 978-0-8014-5450-9. ↑ Wen-Chin Chang (16 January 2015). Beyond Borders: Stories of Yunnanese Chinese Migrants of Burma. Cornell University Press. pp. 124–. ISBN 978-0-8014-5450-9. ↑ Wen-Chin Chang (16 January 2015). Beyond Borders: Stories of Yunnanese Chinese Migrants of Burma. Cornell University Press. pp. 129–. ISBN 978-0-8014-5450-9. ↑ Callahan, Raymond (1978). Burma 1942–1945: The Politics And Strategy of the Second World War. Davis-Poynter. ISBN 978-0-7067-0218-7.